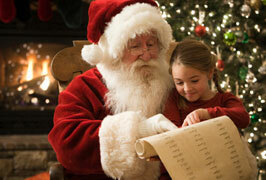 Make Magic Memories this Christmas at the Butlers Chocolate Experience! Butlers Chocolate are excited to announce The Ultimate Christmas Experience is coming to Butlers Chocolate for all friends and family to enjoy! 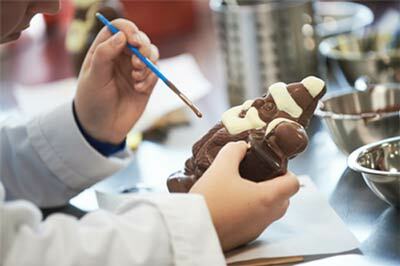 This Christmas, a visit to see Santa at the Butlers Chocolate Experience in Dublin makes for an interesting and unique family Christmas day out for all budding chocolatiers and chocoholics! Have fun filling in the worksheets as you make your way through the museum, picking up nuggets of chocolatey facts along the way! Then, the hands-on part; step into the shoes of a Christmas elf in the demonstration room and create your very own chocolate Santa to take home as a special treat! Whether introducing a child to Santa for the first time or honoring a family tradition, a visit to Butlers Chocolate Experience is the perfect way to start this festive season!